***NEW ARRIVAL*** 6 Speed, Executive Package, Carbon Fiber Trim, Like NEW, Org MSRP of $73,905!! 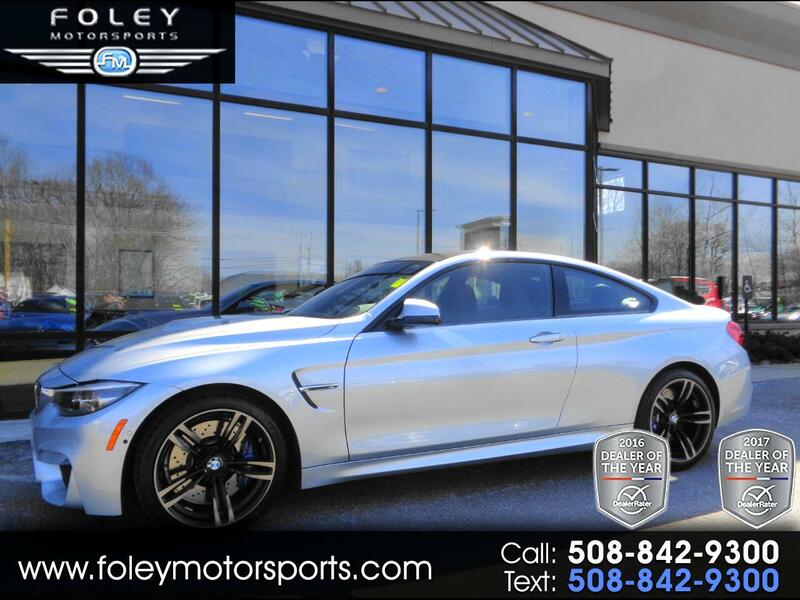 2018 BMW M4 Coupe... Beautiful Silverstone Metallic on Black Extended Merino Leather... 3.0L TwinPower Turbocharged 6 Cylinder Engine... 6 SPEED Manual Transmission... Adaptive M Suspension... ONLY 14,604 Miles!! LOADED with 19'' Black Alloy Wheels... EXECUTIVE Package... HEATED Front Seats and Steering Wheel... Rearview CAMERA... COMFORT Access Keyless Entry... CARBON Fiber Trim... POWER Rear Sunshade... PARK DISTANCE Control... APPLE Car Play... BLUETOOTH Hands-Free... HARMAN KARDON Surround Sound and much more!! ***ORIGINAL Sticker MSRP of $73,905*** SHOWROOM Condition Inside and Out!! CAR FAX Certified 1-OWNER Vehicle with BMW Bumper to Bumper Warranty Coverage Included!! Please feel free to contact our experienced sales team with ANY questions or to schedule a test drive. Buy with confidence from the area LEADER in Pre-Owned LUXURY. Additional 5 Year/100K Extended Warranty Coverage Available. ALL of our vehicles are meticulously detailed and serviced by our factory trained certified technicians. Call or email us at sales@rjfoley.com **$0 Down** 100% financing available with great rates! Trades are always welcome. National and International shipping quotes are available.